One trend that is slowly rising in the mobile application industry, is the demand for mobile applications to have more information on user analytics and an easier way to access this information. Since the birth of the mobile application industry, a majority of focus was primarily on the user interface of the mobile application, how smoothly it performed and how attractive it was to the user. Now that mobile apps have become a norm in the wireless and Smartphone industry, mobile application development firms, mobile application developer and mobile app experts want ways to find out detailed information on the type of individuals who are downloading and using these mobile applications and easier ways to do market research in the growing mobile application industry. With the rising demand on mobile application user information and analytics, mobile application development firms and mobile application developers are now starting to put more emphasis and focus on the back-end aspect of mobile applications along with the front-end interface. New mobile applications which are being released to mobile application marketplaces such as Apple’s Mobile Application App Store, REM’s Blackberry App World and Google’s Google Play App Store now have the ability for the mobile application owner to go online (or the administration panel of the mobile application) and find detailed information of the mobile application such as: how many downloads it has within a day, a week, a month, a year; what time of the day users are downloading their mobile application the most, the average time users spend on the mobile application, number of times the mobile application did not perform as intended on a users Smartphone, and so forth. All of this information (plus more) will assist mobile application development firms and mobile application developers to better understand the mobile application industry and the type of users that download and use specific mobile applications. 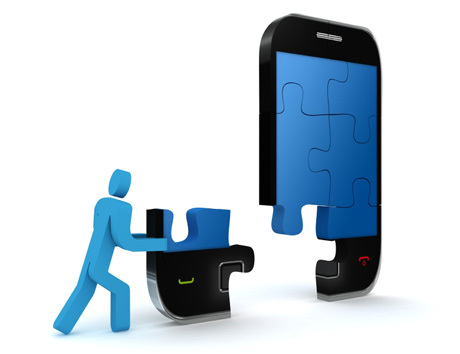 As the mobile application industry continues to grow, we will certainly see mobile application developers and mobile app development firms evolve on their mobile application development strategies not only to satisfy their customer base but also to remain competitive in the cut-throat aggressive mobile application development industry. The future of mobile applications have only touched the surface and individuals within the Smartphone and mobile app industry are confident that mobile applications will grow to perform tasks and functions never imaged before. This up and coming industry has unlimited possibilities and it will be the mobile application development firms and mobile application developer who remain aggressive and engaged that will thrive will the others will fade into the background.